I do not even know where to begin with this article as it is maybe the strangest group of UFO reports ever sent to me. Since the reports came over a period of time from different people located all over the world I can only trust in what they are telling me and pass it on to my readers. Obviously the people are seeing something very odd. Since the reports are not related in any way yet very similar I can only think something new has come our way which we all need to be aware of. I will say that we should all be prepared for unusual reports as the activity in our skies continues to change and grow. I will admit these new sightings even took me off guard at first. Once I was sent reports from people all over the world who did not know each other I knew something new was on the horizon. I had to wonder how many others may have seen something similar and felt it time to write about this floating building phenomenon. If you have seen something similar do email me with your report so this new strangeness can be brought forth as another unknown. A while ago I wrote a story about a large rectangle light seen over the field of a man who owns a huge track of land deep in the Canadian Wilderness. He came across a huge building size square object of solid light hovering over one of his fields. It was not the usual UFO report. The odd shape of a large mufti- story building stood out in this Canadian report. The report was not your typical UFO sighting. It was of a UFO that was the size and shape of a large building. The Canada wilderness report was of a large rectangle sized building covered in bright white light that hovered silently over the tree tops. The man who encountered this large object did not see a base of the object on the ground . 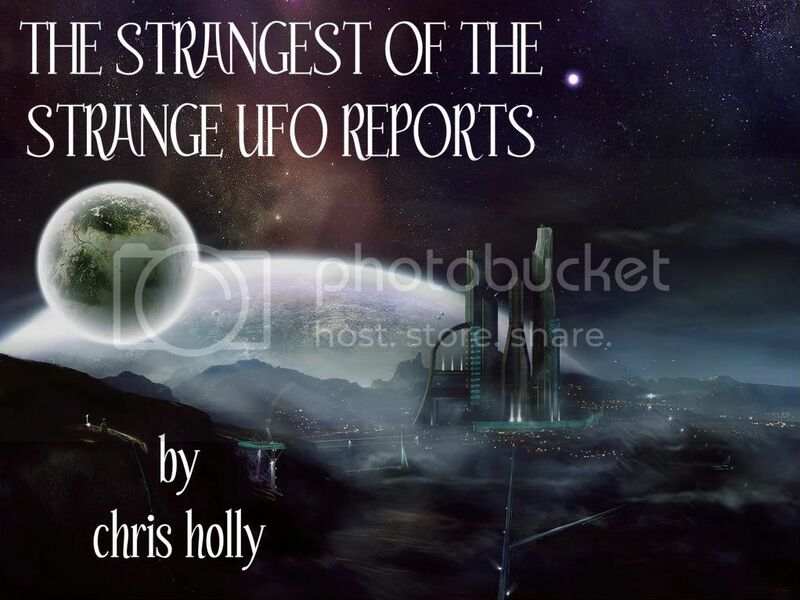 He saw this huge structure hovering behind his tree line at the back of one of his fields.. The Canadian report was the first I ever heard or reported concerning large building size UFO's. It was about a year later that I was contacted by another man who reported a far stranger event in hopes I had heard of others like it. This man had not seen or heard of the Canadian report. The man told me that the event he was reporting happened to his mother while she was traveling along a highway in southwest Texas. The year was 1999 and it was in the fall . The man's mother was driving along the highway she traveled frequently very late at night . It was a very dark night. As she drove she noticed just to the side of the road some lights that looked like the lit windows of a tall building. She knew there weren't any buildings anywhere near where she was driving. In fact the only place near where a building like the one she was looking at was located was a good 50 miles away . The woman drove past the building amazed at the fact it was standing in the middle of nowhere. After she drove past it she pulled over as her curiosity got the better of her to get a look at this strange sight. She got out of her car to get a better look at this misplaced building. The woman told her son that the building was the size of a 7 or 8 story building. She told him the windows were rectangle in shape and well lit from the inside. There was no sound at all coming from the building. As the woman stood looking at the huge structure of windows she realized she could almost make out the interior of the building . She also realized she could not make out the definite lines of the exterior of the building or see the base where it was attached to the earth. As the woman stood next to her car she realized the structure seemed to simply be floating next to the road. This startled and upset the woman. She jumped back in to her car and drove away. She looked back numerous times in her rear view mirror to find she could not see the building , the windows or the lights anywhere behind her. According to her son this woman is a stable normal woman who does not follow flights of fancy or have any interest in subjects considered paranormal. She does remain fixed in her report that she did see this structure floating along the side of the highway. Her son drove back to the location a few different times searching for clues to what his mother could have seen that day. He did not find anything usual or any structure of any kind in the area. I have no idea what this woman witnessed that day. She did not have a photo or a witness to add to her report. I thought it may have been a day dream, or a hallucination or something of that nature. I also realized it could have been a military operation , a hologram or an actual ship of some kind that are rarely seen by human eyes. I did not think about this report too much again until I received other reports equally as odd. In 1988 while living in Colorado. I witnessed the strange sight of a large building floating in the air with my wife. My wife and I had a store in a small town in Southern Colorado at the time. It was located in a roll up the streets at 9 p.m. types of quiet towns. We lived in an apartment above our store. Late one evening we looked out the window to find a very large- bigger then football field boxy craft with numerous block type projection all over it moving behind a small mountain at the edge of town. It was approximately. 2-3 blocks away from the store. There was no sound at all. It moved very smoothly. It was very close to the ground. We thought it must be a government project because it was moving over the mountains outside of town that is surrounded with government. signs warning they would shoot if anyone entered the area. We only saw this happen once but knew it was strange. Someone somehow was moving a huge building effortlessly without noise or fanfare over the mountain range. Any way for what it is worth that is what we saw ." After this email I started to think that something very odd was happening that we were all missing. It is without question possible that these events were black op projects. It could also be a hologram event or a large UFO craft we have yet to see often. Who is behind these building size crafts is anyone's guess. Could it be we have the ability to move entire structures in this manner? Can we be projecting them to give the illusion of cities or towns where none exist or can they be actual crafts of another visiting species that are being moved about.? I just do not know. The next report was sent to me which I truly found incredible. At first I thought it was a joke until I had a few more contacts with the people who sent it and realized they were serious and unsure what the odd object was that they had seen. This craft was amazing an L-shaped building complete with balconies at the rear (three of them). Below the balconies were two mesh dishes shaped similar to Butterfly wings. These were pulsing a blue/purple light and seemed to be propelling the craft. Underside we saw three white lights with huge pipes between them. There were two lights at the rear and one light at the front. Also every straight edge was like a fluorescent tube. The craft looked as if constructed of concrete with a yellow appearance. This craft emitted a heavy electrical humming noise as it passed over about fifty feet in the air. The building was about 6 stories high and moving along at about 50 miles per hour at top speed." I will let the above report stand on its own merit. I have no idea at all what the people are seeing. I realize the reports are coming from all over the world concerning the floating building structures and realize they are to be considered until otherwise explained unidentified floating objects or UFF! At this time I can only wonder if this type of craft or sighting will become more widespread or if they will remain far and view apart. Time will answer that question. I am sure we all can come up with countless theories to what these people encountered. I think it is another warning to us all to be alert and aware of our surroundings and to be prepared to catch what you may encounter on your camera if possible. The road to figuring out what is going on out there is to join together with evidence and unity. We also need to demand our questions be answered and our sightings investigated and taken seriously. For now watch for those flying buildings!